The City is proceeding with its plans to seek voter approval of a General Obligation – or GO – bond to fund citywide projects but the appointment of former Commissioner Joy Malakoff to head the outreach effort is a no go. Miami Beach Commissioners this week voted 5-2 to waive the ethics rules prohibiting elected officials from doing business with the City for two years after they leave office, but by Friday, Malakoff had withdrawn. City Manager Jimmy Morales and Mayor Dan Gelber argued Malakoff’s extensive experience with a previous GO bond, her 50 years in the banking business, and relationships with residents and the business community made her uniquely qualified for the role. 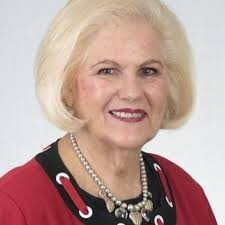 Commissioner Kristen Rosen Gonzalez objected to waiving the ethics rule. “Joy. I love you as a former colleague,” she said, “but we have ethics rules in the City. To waive the ethics rules, why have them if we’re going to waive them?” She wanted to open the job for applications from the community. Mayor Dan Gelber said, “You have a provision to waive an ethics rule so you can waive it, so it can give you that flexibility.” He pointed out it required a 5/7 vote, a higher hurdle than a simple 4/7 majority. To questions raised by Commissoner Michael Góngora, Morales said the position would be temporary, a consultant role not to exceed $50,000. Góngora said, “I think she would do a very good job but I have to raise a different concern.” He said there were “rumors” that Malakoff might be called upon to fill Rosen Gonzalez’s unexpired term if Rosen Gonzalez is forced to resign her seat in order to continue her race for Congress due to a bill pending in the state legislature. His support, he said, would be “contingent on her not coming back to the Commission in another role”. “If this is the role that she wants, I support her for it. I think she would be great for it, but it would be important to me that it be contingent upon her not coming back to the Commission in another role. Would you be comfortable with that?” he asked Malakoff. Góngora said, “I don’t have a problem with you running. I think that that’s your right but what I’ve been hearing is that there’s a movement” for her to fill a potential unexpired term. “This is the first I’ve heard of it,” Malakoff said. “No one has spoken to me about filling an unexpired term … If that were to happen, I would be very happy to serve the City again but one has nothing to do with the other” she said regarding the GO Bond appointment. When a motion was made for an ethics waiver to allow the manager to negotiate a contract of no more than $50,000, Góngora said he was not going to support it as he thought the item was “mislabeled and misleading without notice to the community. And, number two, for the reasons I stated before, if it’s going to involve a potential double appointment, I’m not going to support it …. I thought this was ‘test the water’, bring it back on a Commission agenda properly titled and labeled, and get our questions answered." Gelber asked if there was an issue putting the item on the March agenda, saying he had no problem doing so. City Attorney Raul Aguila said the item did not require a public hearing but just a 5/7 vote that the appointment is in the best interests of the City. Commissioners Mark Samuelian, Micky Steinberg, Alemán and Arriola joined Mayor Gelber in voting in favor. By Friday, Malakoff had withdrawn from the position. We reached out to Malakoff who told RE:MiamiBeach the City approached her to help. It was not a position she sought. In the end, she said the process had become too politicized. She withdrew she said because "I didn't want to get in the way of the GO bond. It's too important. Every commissioner and the mayor need to speak in favor of it. It's really important that it pass."